Things to do This October – Fun For Children of All Ages! With Half-term and Halloween fast approaching, a lot of parents may be looking for some exciting ideas regarding days out and fun activities to keep children occupied during their time off school. Well, worry not! We’ve done our research and have collected together a few of a what we take to be the best options for your family’s enjoyment this October. The list includes museums, art galleries, playgrounds, a famous toy store, castles, bus tours and much much more, so hopefully there’s something for everybody. We’ve tried to be as indepth as possible and to provide opening times and admission fees, but you should always be aware that these are subject to change and that it is best to visit the website and/or phone ahead to check these details before you set off for your destination. We’d also love to hear any further ideas or recommendations that you might have for more fun family-days out – just scroll down to the comments section and let us know. There’s plenty for kids to see and do in The National Army Museum which has its own designated ‘Kids Zone’. Expect a play space, an interactive learning centre, art activities, board games and group readings. 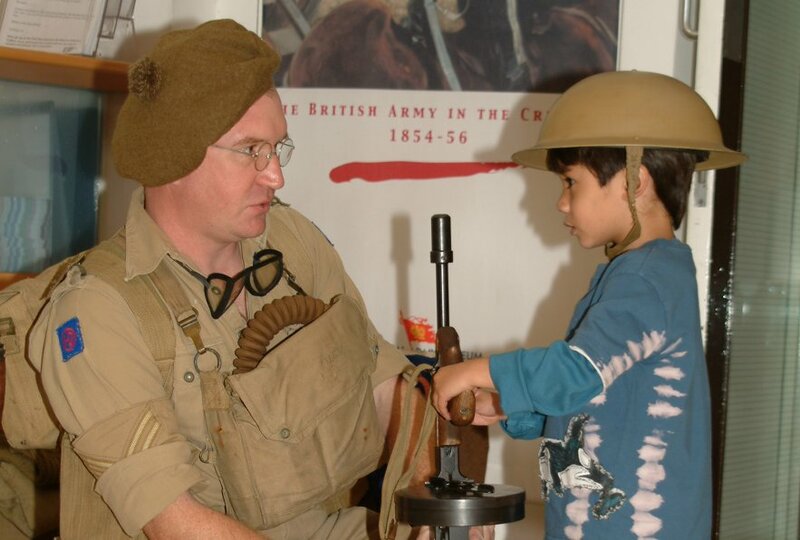 This half term you can also take your children to meet the soldiers of Britain’s past dressed in their full military garb, talk to them about their experiences and get ‘hands-on’ with some of their equipment. You can also try your aim on the Swift rifle range and build a cotton reel tank! Don’t forget to pick up your free activity backpack from reception which is packed full with a range of activities geared at aiding young children develop a better understanding of the various galleries. The Kids Zone is recommended for children under 10 and there is a soft play area for babies. For older children and parents there’s plenty to see in the main galleries which detail the numerous ways that the British Army has shaped Britain and the wider world throughout the years. This half-term, The National Army Museum is hosting ‘Invasion 1940’ (a free event) which offers a chance to learn about how British men and women prepared for the oncoming invasion during the Second World War. Recommended age-range: Children 2-15 years old. Family (2 adults, 2 Children): £25. This half-term, the folks at Battersea Park Children’s Zoo are hosting a range of Halloween-themed events. From October 23rd-31st you can engage in a pumpkin hunt – simply pick-up your quiz sheet upon entry (an additional £1, but includes a prize) and follow the clues to find the pumpkins hidden about the zoo. On the same dates be sure to pop a Witches or Wizard’s hat upon your kid’s head and make your way to the Café to pick up a complimentary ‘spooky’ biscuit. Other events include ‘Make a Bat that Flaps’, which gives children an opportunity to do just that – drop-in sessions run on the 26th (Tuesday) and 28th (Thursday) 11am-1pm and 2pm-3.30pm. On Saturday the 30th the zoo offers an opportunity to get your face painted as a vampire or a ghost. Then of course there’s the main-attraction – the animals! Children are sure to be fascinated by the giant rabbits, the chimpanzees, the meerkats and other furry critters. Recommended age-range: Children under 12 (who must be accompanied at all times by an adult). This fun and lively playground was built to reflect the contemporary values of Princess Diana. The oval stone fountain was built to give children and adults alike a chance to reflect and have a little wade about in the water. You may have heard in the news some years back that there were safety issues concerning the fountain. These issues have been dealt with by the introduction of a new fence to ensure that children cannot access dangerous areas. There are also six wardens on guard to ensure that there is nobody walking or running in the fountain. If you still have concerns regarding the safety of your children, please check here for more details. The playground itself is inspired by the adventures of Peter Pan and has a huge wooden ship as its centrepiece. Beyond this there is a sensory trail, teepees and play sculptures. Diana Memorial Playground gives kids a great opportunity to let their imaginations run amok. 188 – 196 Regent St. Even when there’s nothing going on, Hamleys is still every youngster’s idea of heaven. There are five floors full of toys and various other goodies that are sure to fill your children’s eyes with a misty sense of wonder. The trouble with this option is that it’s difficult to take a little one into a toy store and manage to walk out without having made any purchases. You should bear in mind that Hamleys, as wonderful as is, isn’t always the cheapest option when it comes to gifts for your children. This October, Hamleys is teaming up with Warwick Castle to give its store a Medieval vibe, so look forward to seeing all kinds of characters, from Knights and Squires to Princesses. Even Warwick Castle’s premier falconer is expected to be there on certain dates to showcase his feathered friends. Every Saturday and Sunday throughout October, Sir Warwick, Warwick Castle’s most valiant Knight will make an appearance at the store and to help turn your loved ones into brave young warriors. There’s also the chance to win family passes to Warwick Castle, so don’t miss out. More details here. Recommended age range: Should appeal to children of all ages – children under 7 must be accompanied by an adult. For those with an interest in the weird and wonderful, head down to Ripley’s Believe It or Not London Attraction. Youngsters will love the Mirror Maze and attempting to walk through the spinning tunnel without stumbling once. 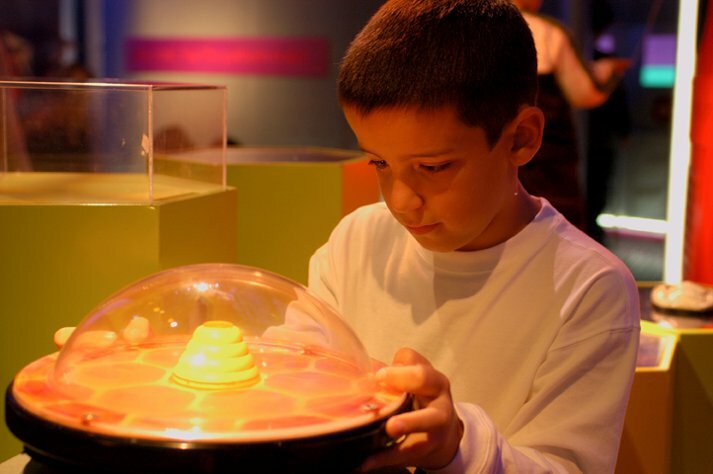 The Attraction has over 500 exhibits, so there’s sure to be something to interest kids of all ages. Please also bear in mind that the attraction features some exhibitions that young children may find disturbing, such as shrunken heads and a gigantic shark’s jaw. But that shouldn’t stop you from seeing a replica of the Tower of London made from 264,345 matchsticks or from getting your picture taking next to a replica of the world’s tallest man (who stands at a vertigo inspiring 8’ 11”). As of yet no programme has been released for October half-term but there are sure to be Halloween festivities going on – check the site for further details. Recommended age range: Appropriate for children of all ages – children under 16 must be accompanied by an adult. Whether they are participating in a glamorous photo shoot with Kate Moss, or discussing the ending of Inception with Leonardo DiCaprio, kids will love the opportunity to meet all their favourite stars. Where else can you consult with royalty at one moment and take on some of Britain’s sporting heroes the next? Madame Tussaud’s gives you an opportunity to meet everybody from Charlie Chaplin to Shrek. For the courageous members of your party there is ‘SCREAM’ (recommended for those who are 12 and above) a live-action maze, populated by escaped and dangerous inmates who will do their best to scare you out of your wits. For those too faint of heart, it’s recommended you check out the ‘Spirit of London’ (visitors must be under 1.2m and accompanied by an adult) – a taxi ride through London’s past where you can see Shakespeare at work, Christopher Wren redesigning the city and Queen Victoria holding the reigns against the backdrop of the industrial revolution. Madame Tussaud’s does not permit the use of buggies inside the attraction, but you can leave the buggy at the left luggage section and rent a baby carrier (subject to availability and a £10 refundable deposit). There are baby changing facilities on site, but no facilities to heat baby food. Finally, be sure to print off your free family pack from here which is packed full of games and activities geared towards supplementing your Madame Tussaud’s experience. Unfortunately the State Rooms are only open from August to September, but you still have the opportunity to visit the Royal Mews (open until October 31st) and The Queen’s Gallery. In fact, we recommend that you make a day of it and grab combination tickets which grant you access to both The Royal Mews and The Queens Gallery (adult – £15, child – £8.75, family – £38.50). It’s suggested that you spend an hour in The Royal Mews and about one and a half hours in The Queen’s Gallery, so make sure your child or children have the stamina to do both before committing to a combo-ticket. These prices include an audio-guide for both attractions. Tickets are available on the door, but it’s strongly recommended that you book tickets for The Queens Gallery in advance. You won’t want to miss the changing of the guard which occurs in the forecourt of Buckingham Palace at 11.30 on even number dates in October (2nd, 4th, 16th, etc). Please be aware that the changing of the guard is subject to change or cancellation. The Royal Mews is both the garage and stables of the Royal family. It offers visitors a chance to see a number of ‘Royal’ vehicles, including the Gold State Coach last used during The Queen’s Golden Jubilee. There’s also an opportunity to see the work horses that play a vital role in The Queen’s ceremonial duties. Please be aware that the horses may be on duty or resting and thus not available for viewing. There’s an interactive audio tour, so children can learn what it’s like to work as a driver for The Queen or to train The Queen’s horses. This half-term on Saturday 23rd and Sunday 24th kids can be a part of their own Horse-Drawn Procession. Pick up drawing materials from the Education Room, create the best horse-and-carriage that you possibly can and add it to the special display, where it will become part of a Royal Procession! The Queen’s Gallery is home to an ever changing collection of items from the Royal Collection. Running until December 5th is Victoria & Albert: Art & Love which focuses on Queen Victoria and Prince Albert’s love of art. Children are encouraged to follow the exhibition trail and learn about Queen Victoria’s children – download your trail guide here. Wednesday 27th is ‘Conservation Day’ and offers drop-in demonstrations regarding how these works of art are made and maintained. Conservation Day is recommended for all ages and will include additional activities for children. Recommended age-range: Varies – check the BBFC website for in-depth classification details regarding every new film. Heading into town for your entertainment can be taxing. Why not take in a movie instead? During half-term your local multiplex will be full of kid-friendly-fare, so why not stock up on popcorn and various sugary treats and head on down? You could take your children to see Legend of the Guardians – The Owls Of Ga’hoole (PG). Despite having something of a mouthful for a title, it’s really a simple story concerning a group of owls on a journey to discover ‘The Great Tree’ in order to save the Owl Kingdom. There’s also Alpha and Omega (U) an animated story about a burgeoning relationship between two foxes. However, our recommendation is that you take your little ones to see Despicable Me (U) a Pixar-influenced comedy in which the villain of the piece takes the centre stage – don’t worry there’s a happy ending. If you can, be sure to seek out The Secret of Kells (PG) an Oscar-nominated animated picture featuring enchanted forests, mythical quests, Vikings and a Serpent God. It is worth doing research to see if you can dig up any special offers. For instance, Vue Cinemas offers a 25% discount off of its ticket prices if you see a movie Monday – Thursday before 5pm. Selective Vue cinemas also offer Kid’s screenings on Saturday and Sunday mornings where children and accompanying adults only have to shell out 95p per ticket. Odeon cinemas offer a 15% discount off of ticket prices Monday – Thursday before 5pm. If you are 13-17 years old you will receive a 20% discount off of your ticket price. Furthermore, Odeon offers family discount tickets which could save you some small change. Be sure to do your research and check that these discounts apply to your local cinema. Finally, if you’re on the Orange mobile phone network take advantage of Orange Wednesdays and grab your 2-for-1 tickets. See also: Go to the theatre! Check out the London Theatre Guide here. There’s nothing more magical to a kid than an open-top bus. The worry for parents may be that the on board commentary won’t keep their little ones interested. But fear not: The Original London Sightseeing Tour offers kid’s commentaries on their red and blue routes. This is a commentary designed for children by children. Every child also gets a ‘London passport’ and a quiz/activity pack to help keep the little nippers interested. Of course the accompanying parent can just stick to the normal commentary and perhaps discover a few things they didn’t know about our beloved Capital. The tour duration is about 2 hours and 15 minutes but you are free to hop on and off at any stop and go visit any attraction that catches your eye. Admission: Prices vary according to what you want to create – have a look at the menu here. If you have a burning desire to exercise some of your more creative juices why not pop down to the Pottery Cafe and try your hand at designing your own mugs, cups, plates and various other pottery shapes? The process is simple enough, select a piece of handmade pottery, grab some paint and some sponges and imprint your design. You can return a week later to pick up items which will have been fired and glazed – the perfect memento of a nice day out. All paints are water-based and non-toxic meaning they are completely safe for your children to use. They’ll also wash out of clothes with the minimum of fuss. Baby Wednesdays, is a weekly event offering a complimentary cappuccino or tea for mums and dads painting their baby’s feet to add to the design of their pottery. This October half-term (Monday 24th– Friday 29th) get seasonal with a variety of autumnal designs – cover your pottery with leaves, acorns, blueberries and the like. See also: Ceramics Cafe – locations in Basingstoke, Farnham, Ripley, Kew and West Ealing. If the prospect of your little nippers growing up to be artistic and inventive types fills you with an inexorable glee, why not aid their development by taking them to the Tate? 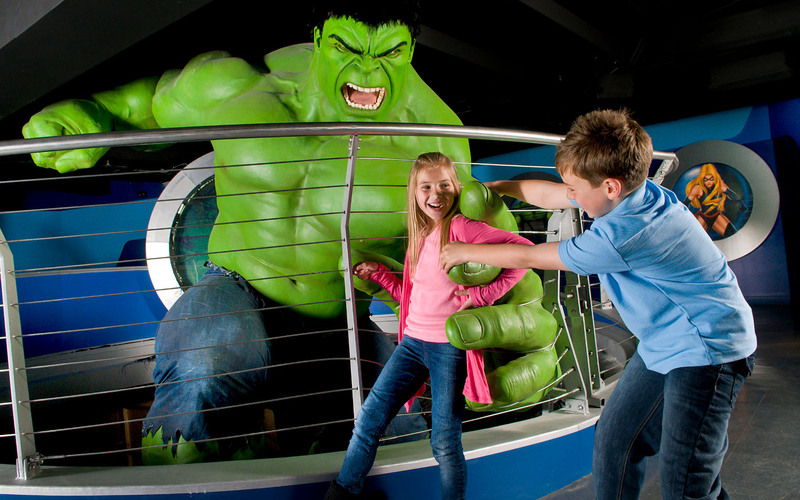 Don’t worry, you won’t have to drag them kicking and screaming around the galleries as there are plenty of family friendly activities for you to indulge in instead. There are a couple of exciting family trails aimed at children under 5. The POST IT! Trail offers a chance for children to explore the Tate Britain and post their various discoveries into their post box as they move along. The JOIN UP! Trail offers a chance to make your own sculptures, seek out shapes and patterns and take part in a fun listening game. 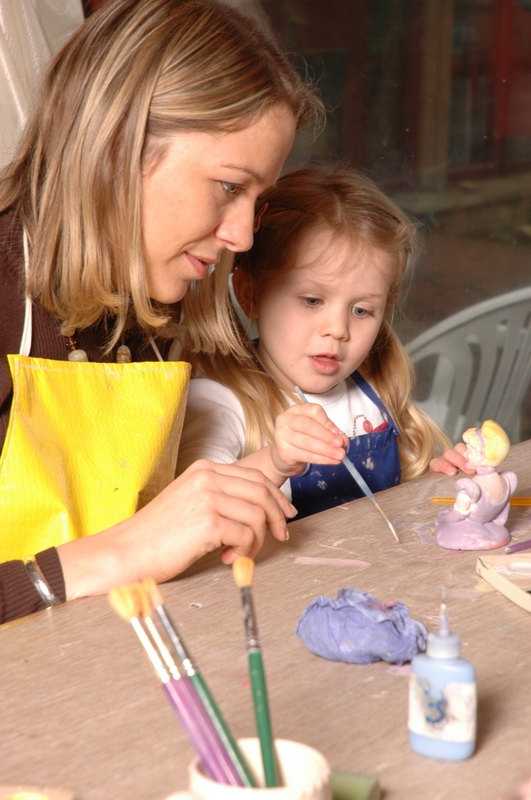 There are also free family resources which provide quizzes and activities to encourage children to explore the art works and hopefully develop an interest in art. If you visit on a weekend (between 11.00 and 17.00) children will be able to unleash their creativity by visiting the ‘Art Trolley’. This offers children a chance to get involved with a number of ‘paper activities’ and create their own work of art. See also: Tate Modern, Tate Liverpool, Tate St. Ives, The National Gallery, The National Portrait Gallery. Not wishing to prove too regional I thought I’d throw out some suggestions that you can get involved with pretty much anywhere. Perhaps you could take the family out for some Bowling or Ice Skating? Why not get some food together, head to the park and have a picnic – whilst you’re there you could also feed the ducks. As it’s approaching Halloween you’ll also have to go fancy-dress shopping for your little nippers and be prepared for a trek around the neighbourhood for some trick-or-treating. In addition to this, you can have a bunch of fun doing some pumpkin carving and creating a jack-o-lantern. So there it is – I hope you are able to find something fun to do with your family this Half-Term. We’d love to know if you’ve been to any of these places recently and enjoyed yourself (or not) and if you think we’ve missed anything! Feel free to leave a comment and let us know! Thanks for posting these. It's tough to find fun things to do especially in grotty weather like this. Can you list some good (safe) websites kids can go on for half term? My kids already know about Moshi Monsters and Friv. Thankyou!